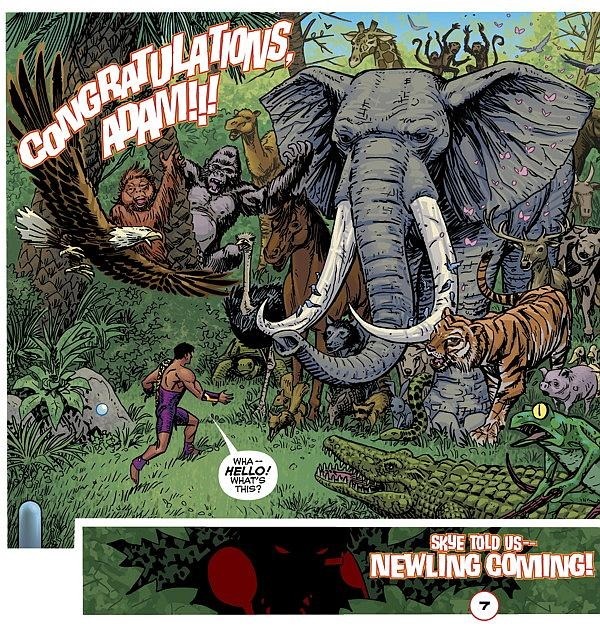 Dark Horse Comics have announced a new 5-issue mini-series written and illustrated by Scott Kolins (Flash, Avengers). 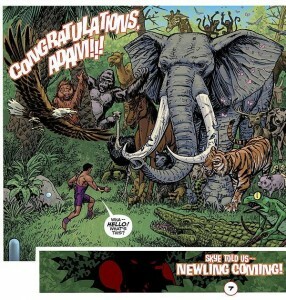 In Adam.3 we meet Adam, a super-heroic young man who lives with his family on a tropical island. A most unusual island: Animals of nearly every species live there. They all talk, and they’re all Adam’s best friends. Well, that is until a mysterious and evil alien presence crash-lands on the island. It has the power to mutate Adam’s animal friends into very, very bad things. Check out the interview with the creator over at Comics Bulletin. Issue #1 of this new full-color comic arrives later this month.